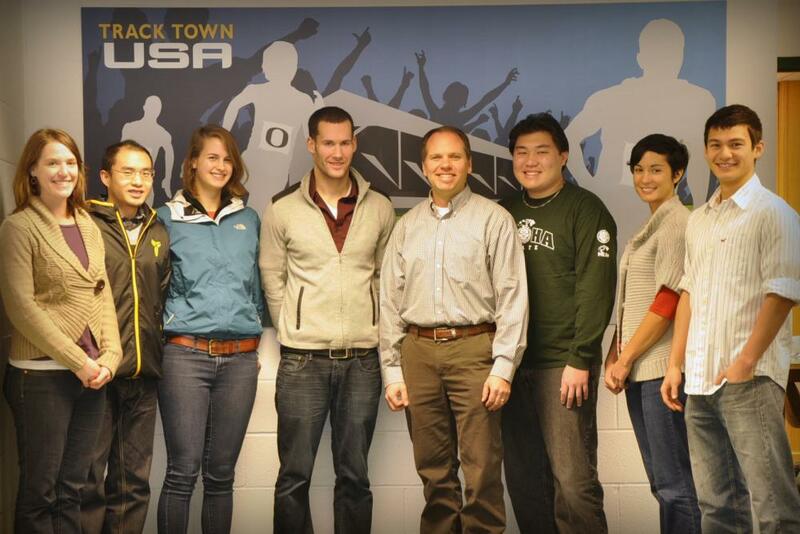 Mike Hahn was singularly focused on developing the new Bowerman Sports Science Clinic when he learned that the University of Oregon would be the host site for the 2014 World Junior Championships for track and field. As the latest high-profile track meet to be held at Hayward Field, the meet is taking place in the United States for the first time and also is making its inaugural visit to a university campus. Very quickly, Hahn recognized the opportunity for his work and shifted into overdrive to organize the International Sports Science Symposium on Performance Enhancement and Technology for July 18-21, just prior to the International Association of Athletics Federations (IAAF) World Junior Track and Field Championships, from July 22-26. The symposium is expected to draw 250 attendees from around the world, brought together to encourage a dialogue about best practices in sports performance and technology. “Having the world junior championships located steps away from the Bowerman Sports Science Clinic is a really great opportunity, and something we couldn’t pass up,” said Hahn. The symposium, hosted by the Bowerman Sports Science Clinic of the UO Department of Human Physiology, will bring together experts from the international sports science community to present cuttingedge research and conduct panel discussions on the application of science in today’s competitive sports environment. According to Hahn, what makes this symposium unique is the opportunity to bring clinicians and scientists together with coaches, athletes and others to discuss issues surrounding performance enhancement, adaptive technology, environmental physiology and doping. “Bringing clinicians and scientists to the same table with the people impacted by the applied science – the athletes and coaches – is important and we are facilitating as many of those opportunities as possible with our symposium,” he said. Stan James from the Slocum Center for Orthopedics and Sports Medicine will talk about the effects of training on sport performance, injury prevention and injury management and will share perspective from decades of expertise in the field going back to collaborating with Bill Bowerman in the 1960s. David Cowan from King’s College London Drug Control Centre, a member of key international committees that led to the first World Anti-Doping Convention, will discuss the physiological effects and status of performance-enhancing drugs in sport. Rory Cooper from the University of Pittsburgh will talk about adaptive technology from his perspective as a Paralympics bronze medalist and founding director of the VA Rehabilitation Research and Development Center of Excellence at Pittsburgh. Jack Daniels from Wells College will share his expertise about human physiological adaptations to conditions of extreme temperature and high altitude from his experience as an athlete, coach and scientist. The complete schedule of events will be finished in mid-May. Conference registration is open now for full-session and single-day attendance. Early registration discounts apply until May 15. Registration includes half-price discounts for World Junior Championship meet tickets.